Who is Eligible for a Home Loan ? How much Home Loan amount can you avail ? The Minimum Home Loan amount is Rs 2 Lakhs ( Rs 2,00,000 ) and the Maximum Housing Loan amount is Rs 10 Crores ( Rs 10,00,00,000 ) subject to 80% of the market value of the property. What are the current Home Loan Interest Rates ? How much EMI do you have to pay ? Your equated monthly installments or EMI would depend on 3 variables: the amount of loan, the interest rate charged and the tenure of the loan. To understand how much EMI you would need to be paid, you can use our Home Loan EMI Calculator to understand the outflow for your home loan. 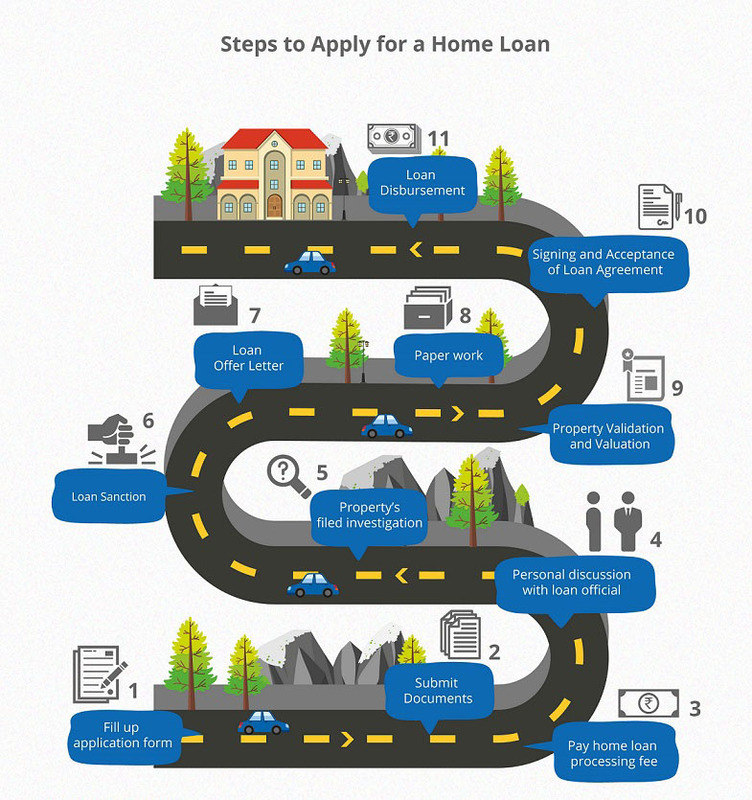 How to Apply for a Home Loan Online ? What are the documents needed to avail a Home Loan ? You can check the detailed requirement of <documents needed for a home loan. Why choose Saransh Realtors Home Loan ? Besides these three main advantages, there are many more that would help you to acquire your dream home. What are Flexi EMI Home Loans ? Saransh Realtors gives you the option of repaying your home loans through Flexi EMI options. Through this option, you can increase your EMI every year to keep pace with your earnings. This way you could clear off the loan much faster. Step Down Flexi EMI Plan: This plan gives you the option to start your repayment of your home loan at a higher EMI and lower it year after year. This plan is optimum for people with high disposable incomes. Bullet Flexi EMI Plan: You can prepay your EMI in parts at periodic intervals with no additional charges on prepayment. With our attractive balance transfer features, you can use the top up loan to undertake repairs or extend your home with additional built-up area. You could also reduce your EMI by opting for a longer tenure. How to Top-up your Home Loan ? A top-up loan is provided to borrowers to put cash in their hands to utilize it for renovation or conducting repairs on their homes. A top-up loan is available when you transfer your home loan from another lender to Saransh Realtors. The top-up is available up to 25% of the original housing loan amount with the earlier lender. Learn more about a top-up loan. What are different modes to pay your Home Loan EMIs ?